Hector Garcia leads Intense Technologies, Americas. He has 20+ Years of experience in multiple business verticals with extreme focus on technology, BFSI, retail and telecommunications. Hector has been Chairman of NACM-NTCG and continues to be a speaker at industry events. Always willing to take on large and complex projects, he relies on his strategic, commercial and operational expertise. 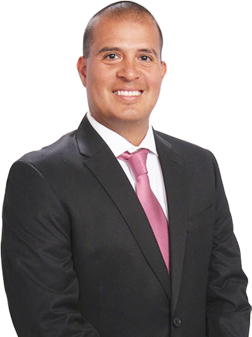 Hector is a proven sales, products, marketing, financial and operations executive. His ability to deliver key insights to customers and to understand their needs as they journey through digital transformation are invaluable. As companies look for help in scaling or sustaining in today’s dynamic business shifts, he helps deliver value to both internal and external customers. He has a rare combination of strong understanding of technology coupled with an ability to think strategically from the sales and marketing perspective. Hector’s entrepreneurial leadership style coupled with highly competent organizational and communication skills to build, motivate and mentor highly effective teams is an asset in today’s business world. His exceptional abilities in engaging with customers, including identifying needs, building personal relationships, and providing a consultative approach for the customer are beyond comparison. Hector’s balance and passion come from family and sport.